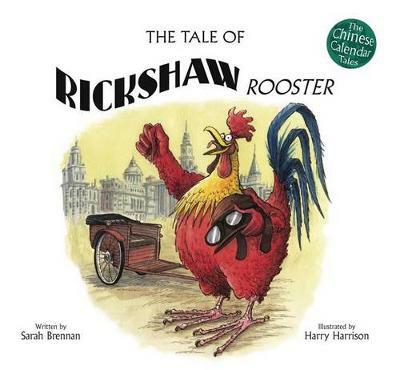 Longlisted for the CILIP Greenaway Medal 2018. 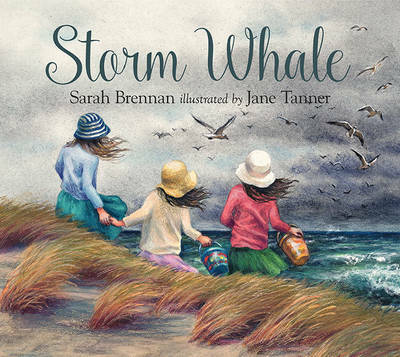 'Bleak was the day and the wind whipped down when I and my sisters walked to town...' So begins the story of three sisters and a wild and magical encounter with a stranded whale. 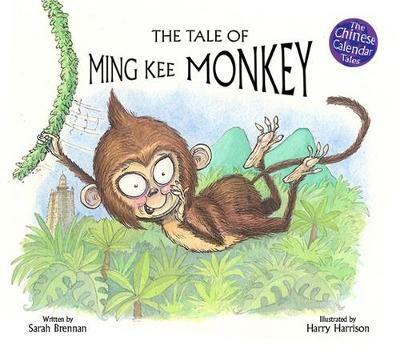 With illustrations full of light and movement, a powerful text that reads like a ballad, children and adults alike will be transported to beachside holidays of long ago, feel the wind in their hair and taste the salt spray, as the girls battle against huge odds to save something precious and vulnerable. Both author and illustrator are passionate about the natural world and environmental issues and see the book as a way to encourage others to care. 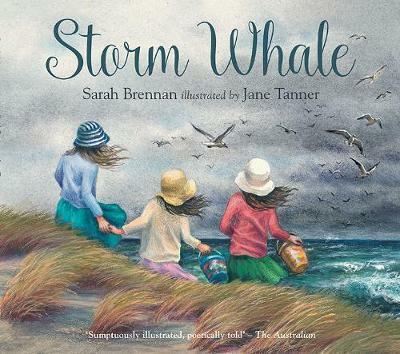 Buy Storm Whale by Sarah Brennan from Australia's Online Independent Bookstore, Boomerang Books. 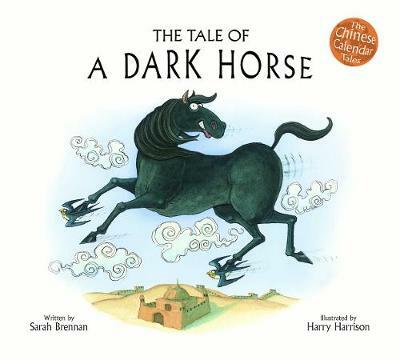 Sarah Brennan is based in Hong Kong and her 'Chinese Calendar Tales' regularly make the bestseller charts there. She is also a Writer Ambassador for Room to Read. Jane Tanner studied printmaking and painting and taught for several years before becoming a full-time illustrator, in 1984. 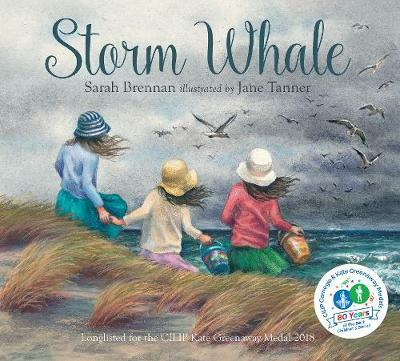 She was first shortlisted for the CILIP Greenaway Medal in 1987 and STORM WHALE has been longlisted in 2018. Jane is well-loved in her native Australia and her work has won many awards there.